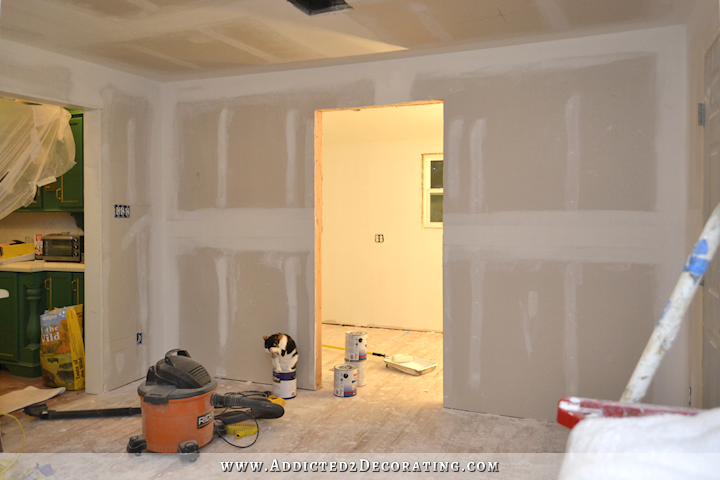 All of the drywall and electrical work is finished in the breakfast room and pantry, and they actually look like real rooms now! So I thought it would be a good time check out the progress and see how far this room has come. 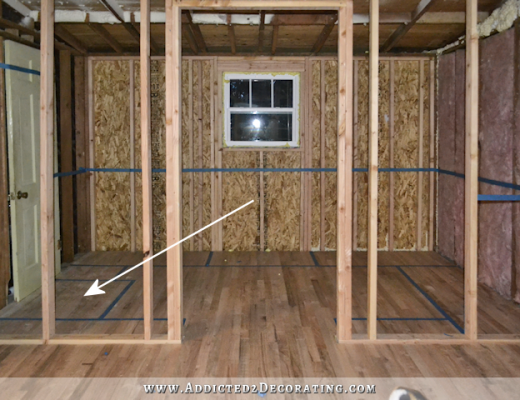 The floor is a mess, and I’ve only gotten the walls in the pantry primed, but let’s take a look! 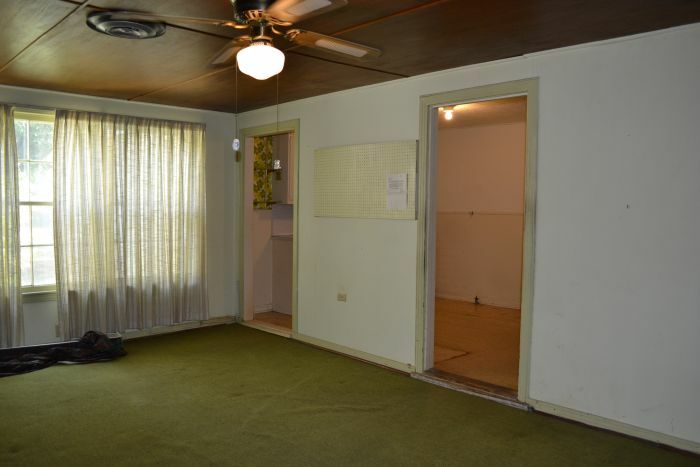 The room originally felt really disjointed and disconnected from the house, with the small step down into the room, the dark, old carpet, and the stained plywood ceiling. Now, even in its unfinished state, it feel much more open and bright, and it flows much better with the rest of the house. 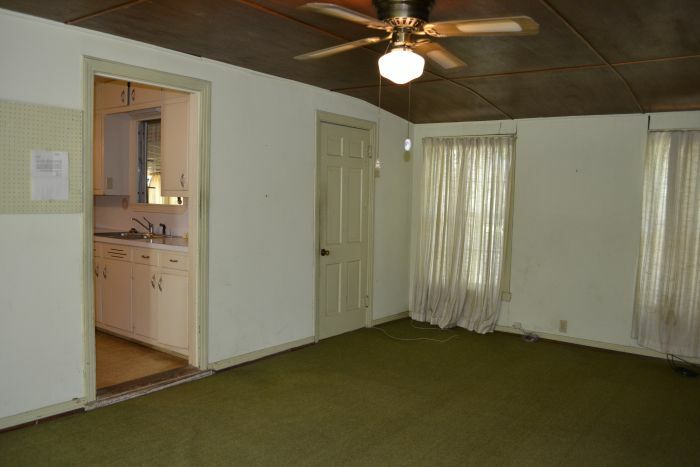 It originally had a wall that separated it from the kitchen, with two awkward doorways into the kitchen. That wall was taken down during the kitchen remodel, and I added a kitchen peninsula that now separates the two rooms. Of course, for now I have plastic up to try to control the dust, but the rooms are very open to each other now. This is the doorway into the garage. It’s still there, but it no longer feels front-and-center on that wall. 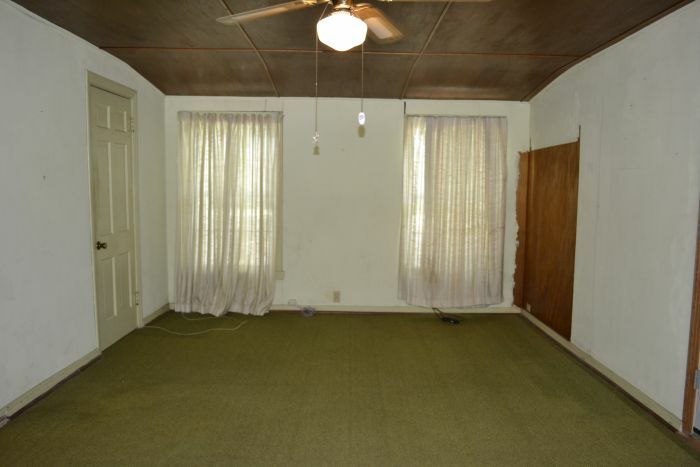 And then looking towards the back of the room, you can see the original awkwardly sloped ceiling. That ceiling is now completely contained inside the walk-in pantry, and instead of being awkwardly sloped, it’s now just an angled ceiling. It’s not really visible in these pictures, but I actually love the way it looks now. The angled ceiling looks intentional, like a planned design feature, whereas the sloped ceiling looked like a DIY project gone wrong. The wall with the garage door always bothered me because that door was just right smack dab in the middle of that long 22-foot wall, just floating there as the centerpiece and focal point of that wall. 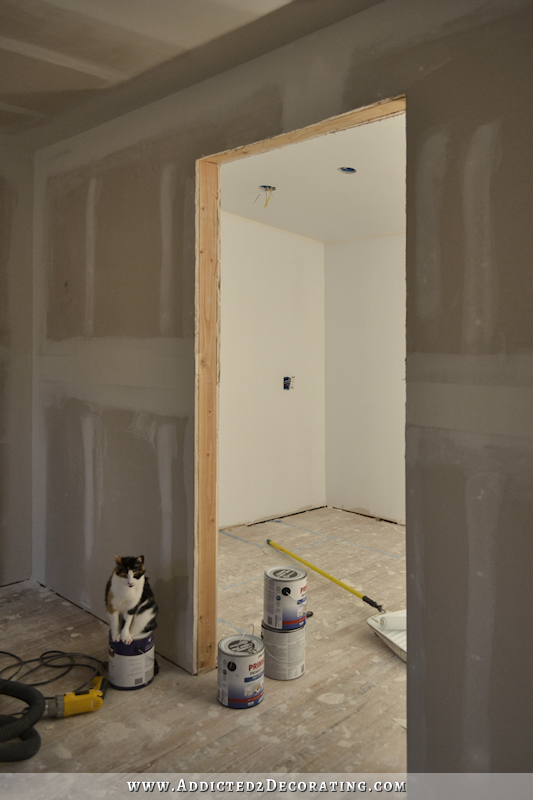 Now that the new pantry wall is there, the door is offset on the breakfast room wall. Being in the corner of the room will let other things take front-and-center position on that breakfast room wall. And then on the opposite side of the room from the garage door, and more towards the back of the room, there used to be a door that led into the sunroom. 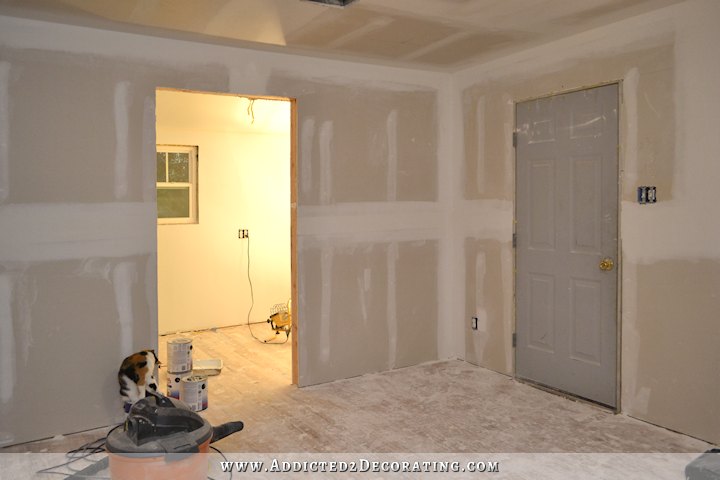 That door is now gone, and it’s a solid wall with plenty of room for pantry storage. And that wall is where my freezer will go. I have all of my electrical wiring hooked up, but I don’t have any actual lights installed in the pantry yet. I’m waiting until I paint the ceiling before I install lights. So I’m still relying on my shop light for early morning and evening light in there. This room already looks completely transformed to me. I have a feeling this will be my favorite room when all is said and done. Looking gorgeous and so inspiring! It looks so much cleaner and brighter already! Love Kitty posing on the paint can! Ditto on both the room and the kitty. It is coming together beautifully!! I really like the set up. The pantry will be wonderful for storage and I like the door from the garage – easy access to your vehicle and for bringing in groceries and other supplies. Well done. your whole house is my favorite room!! From the entrance to the dining room, music room, fabulous bathroom into that kitchen…well I am in awe. I want to come back as you in my next life. Looks great! I’m sure it has a whole new feel. Now that you have walls has your vision in the pantry changed any ? OH Christy, what a transformation!! Just think how much warmer and cooler it will be in your house. You go Super Woman!! It looks great Kristi, just beautiful! All that new usable and practical space to add to your home – just awesome. I really like your shop light too! It’s coming out awesome! I’m very jealous of your pantry. I wonder if you’ve considered eventually swapping-out the garage entry door with something different. I know it basically has to be an exterior door (because of exhaust gasses and probably, fire code), but what about something with a window in it. Maybe one of those single-pane top-to-bottom glass doors with the built-in blinds or a nice window treatment on the inside of the door? I imagine you’ll want something that obscures the view since it’ll just be your shop and/or a vehicle, but it still might be nice to not have just a plain old steel door. 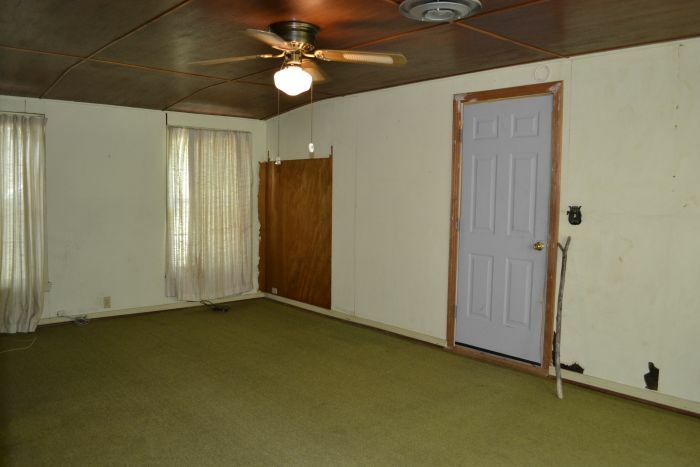 Might also be a fun place for a dutch door. Oh, definitely! In the house where I grew up (where my mom still lives) the garage door always had a screen door on it. I loved having that door open on beautiful days and letting the breeze come through the screen door. I imagine something like that, and I’d love for the door to have glass in it also. I’m not sure if you remember a picture of some exterior doors that I posted a while back (from Houzz, I believe). The doors had windows that opened up on hinges in the top portion of the door. I still dream about having doors like that, both as the front door of the house, and also in the breakfast room. I’m still thinking about how I can either build something like that myself, or have them built. 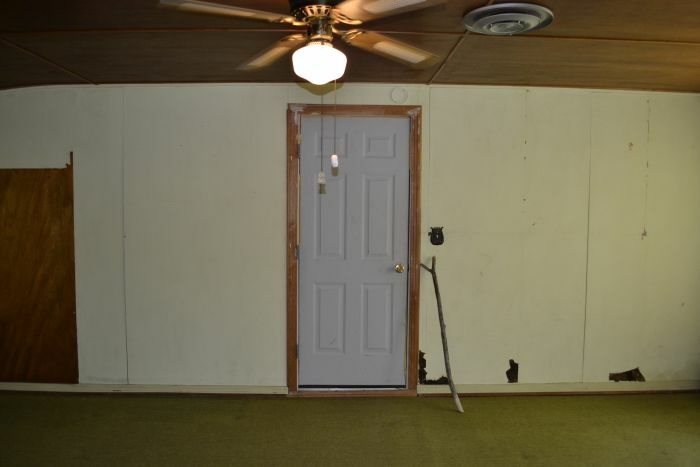 Can you post a picture of that dream door? It sounds interesting. I have the same situation in a small guest house living room with a door to the garage. Love the screen door idea too! Oh, I remember those. Those are so cool! I’ll bet you could totally make one. After the major reconstruction you did on the music room sliders, these would probably be easier. If you look at them, you could probably just start with a half-door (literally cut an old one in half), re-build the frame on the top from dimensional lumber, then insert an old wooden window sash as the swinging part. 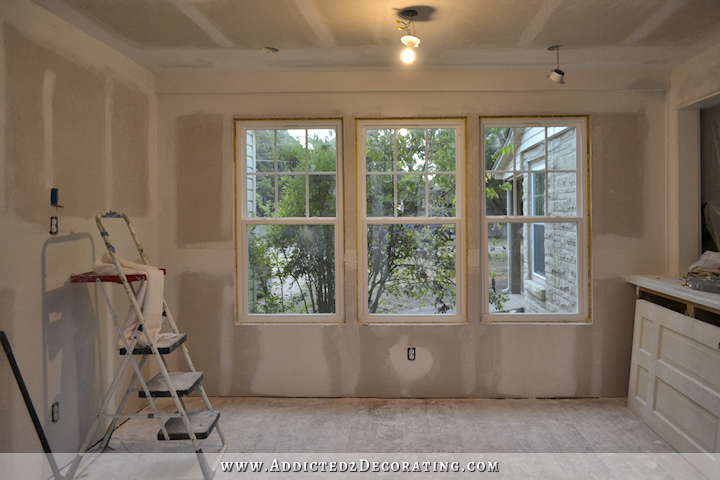 Finding the right sash would be the hardest part and adding enough weather stripping. Wonder if you could have just the sash made through Home Depot or a window supplier. That way, it could even be double-pane and have removable grids for easy cleaning. This looks fantastic! I know you have a reason, but I can’t figure it out…why are all the electrical and light switches so high? Or is it just how it looks in the photos? 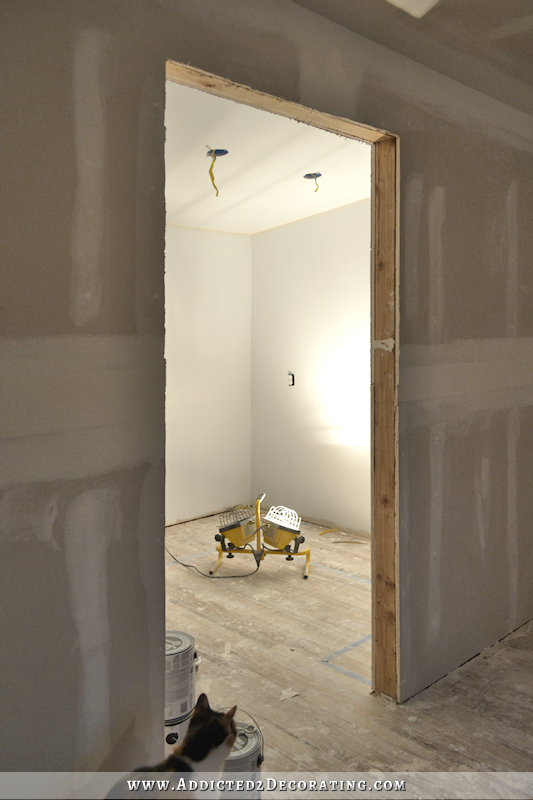 The electrical outlets in the pantry are positioned so that they’ll be above the countertop, which will be 36″ high. 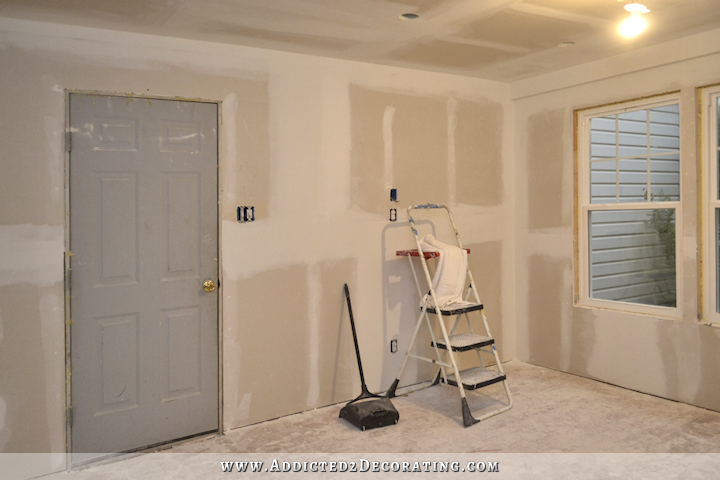 The electrical outlet on the breakfast room wall to the right of the garage door is positioned for a television that will go on that wall. The other three outlets are 13 inches from the floor to the center of the box, which I believe is pretty standard. Television??? Wow, that’s a shocker! LOL. I’m surprised that the light switches are so high. My daughter lives in a handicap unit & the light switches are lower. Drives her crazy because her 3 year old can turn all the lights in the house on. When you redo the hall way you might want to put them lower so Matt can reach them. Hahaha! I’m a shorty like you and my husband is 6’2″, too! Wow! Wow! Wow! It is already looking amazing and I know the end-result is going to be so special. Love that your little kitty sitting on the paint can! Ditto on all counts :)!! It already looks amazing. What a transformation! I say that a lot when I comment here. Even though there is much to be done I am so impressed with this transformation. 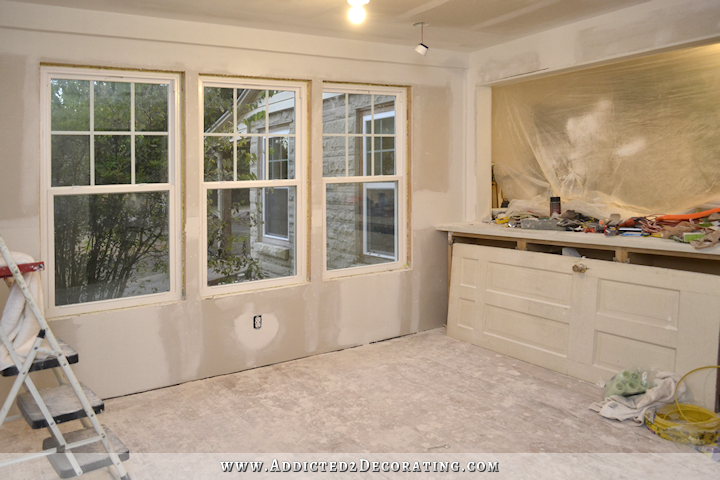 The room is looking bright and cheerful, and the pantry looks like it will be fabulous. Can’t wait to see it finished! I have a feeling that you will just keep working at it until you can walk into each room and say Ahh, that is just what I wanted. I’m sure when each room is cleaned up and at its best you feel that way in them already. 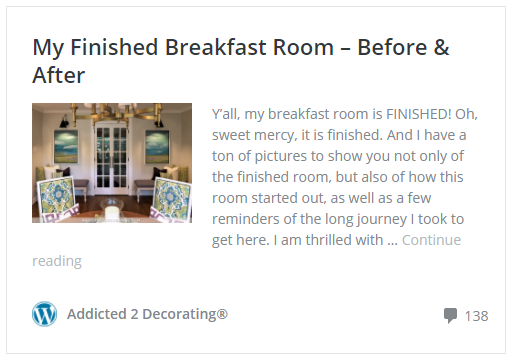 Good job on the breakfast room, as an informal room I think you are both going to spend a lot of good times in there that will be memorable for you. 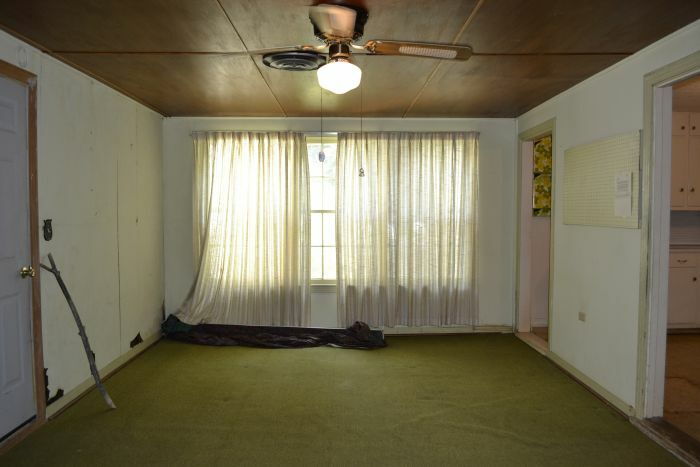 I love bright open rooms too and you seem to be capturing that well. If you do put in blue breakfast seating I know I’m going to love it because I just love blues. I did want to ask if your pantry cabinets are going to be the same as your kitchen colors to match – perhaps you may have mentioned this someplace – but I cannot remember if they are going to be green or white or some other color! Are you doing concrete counters too? I’m totally jealous of this incredible pantry – and freezer! I have zero room for either in my house. I so can’t wait to see this project finished! There are not too many houses that get to have a “butlers pantry” these days! 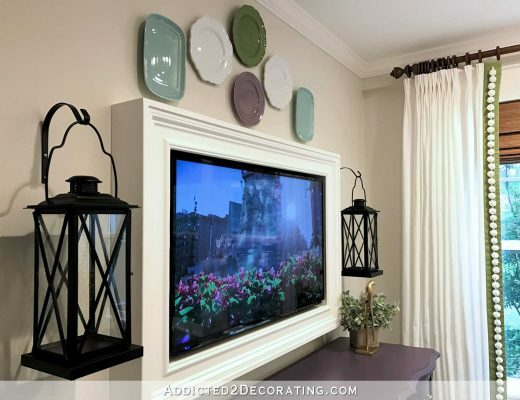 So I just love that you get to have this added into your plans, because it brings back something that used to be a rather traditional part of a larger home. Nowadays since they are not a part of the building process, people don’t really know what they are missing, until you see somebody like you, adding/building it into a new space! Very classic and nicely thought out! Wow, what a transformation! It is looking absolutely FAB-U-LOUS!!!!! I’m in awe and SO loving and envious of your pantry area. You and Matt must be so thrilled with how the two rooms are taking shape. Love that your kitty is sitting on top of the paint can…….too cute!!! Kristi, this is so exciting to watch the transformation of the breakfast room! And it makes me smile to see the pictures with Peeve, who just happens to be sitting on a paint can, calmly washing herself and keeping you company. This is such a nice distraction from the usual online climate right now if you know what I mean. I remain in awe of your skills … just an amazing transformation. Taking that exterior wall down to the studs made me so nervous, but you just breezed right through it. 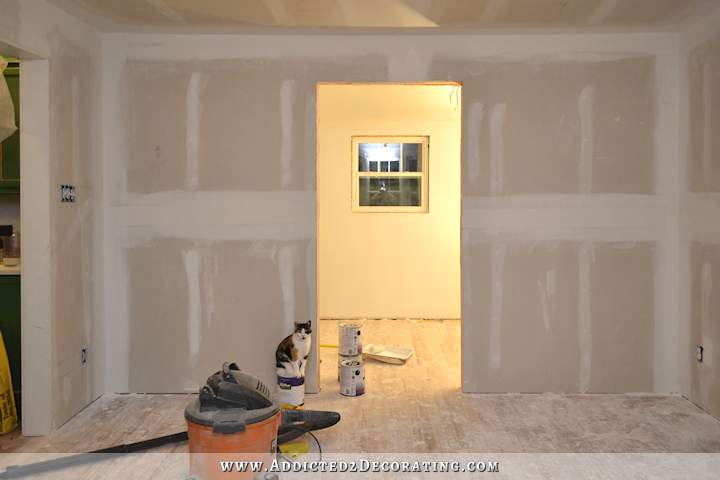 You continue to inspire me – cant wait to see the finished pantry! Wow!! The look is coming together and will be superb! Ha..Kitty-on-a-can! Is this the same kitty who walked through your almost dry cement counter top? Does Boo ever follow you through the house while you are working? I never see Boo in the pictures. He did when he was younger, but he doesn’t anymore. He’s 15 years old,so he’s pretty content to stay on his bed and watch me from afar. Every once in a while, he’ll come looking for me. When he was younger, he’d spend the day on my heels wherever I went, though. This is so great! It’s already looks SO MUCH better! Love it! You’re really making it feel like a HOME, as opposed to a ramshackle, tacked together structure. You’ll need to save some time at the end of the year, before your end-of-year break, to update your house tour! You need to take credit for all of this hard work there! And, then you need to take a big long break! I just love how your cat is sat atop the paint can! Just know catching up with your latest posts. Constantly amazed at the beautiful transformation of your house. This is looking wonderful! 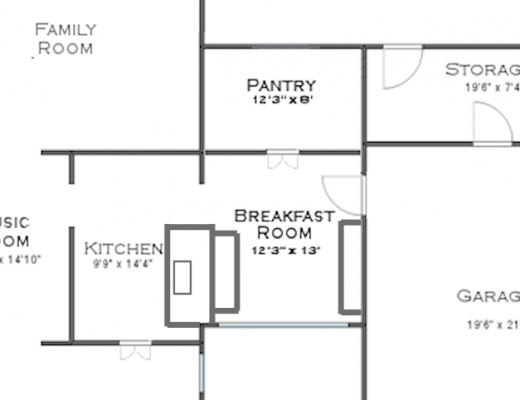 I just moved into my forever home and it does not have a pantry. Right now I am using additional cupboard space but it is so inconvenient! I will be looking forward to seeing the progress as you continue! Hopefully I will be able to make use of my space as well. I wish you the best of luck!